Two weeks ago, Sr. Simone and I traveled to New Mexico to facilitate NETWORK’s first-ever Rural Roundtable. 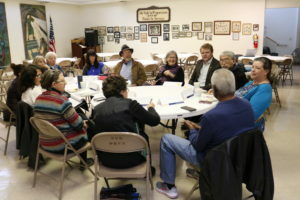 The idea for a Rural Roundtable came when NETWORK realized that while we have a good understanding of how federal policies impact people in the urban and suburban areas, we needed to gain a better understanding of the lived realities for people in rural areas to be better advocates for the 100%. The stops on some Nuns on the Bus tours had been in rural areas, but we wanted to make a more intentional commitment to specific communities by building upon events we would already be having in the state. 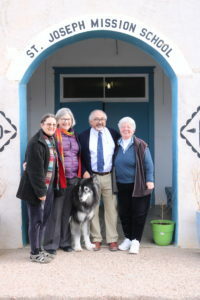 The day after we arrived, Sr. Simone and I spent the morning meeting with residents from the Laguna Pueblo. 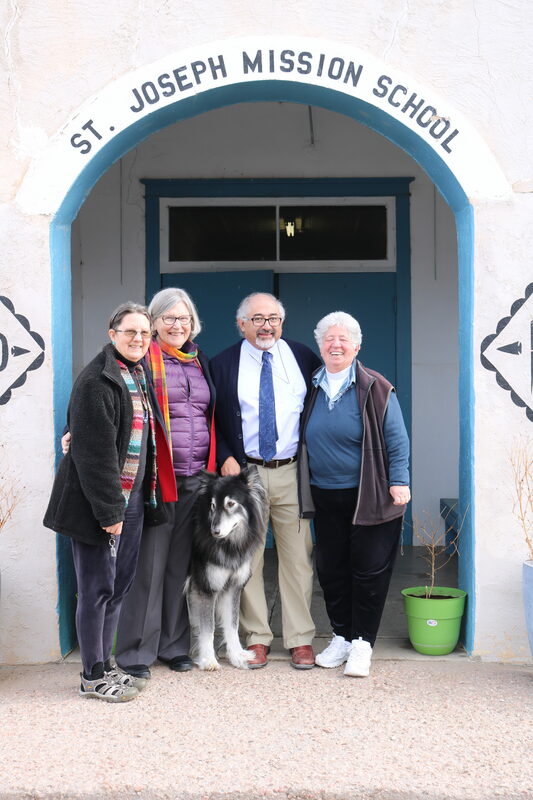 We visited St. Joseph Mission School in San Fidel, NM, where we met 40 amazing students and staff who are actively committed to learning about and rectifying the environmental and health damage that was a result of decades of uranium mining. Merrick, an eighth grade student, showed us a video he had made that recently won first place in a regional competition. The video featured the story of his grandmother, who had worked in the Jack Pile uranium mine and now has pulmonary-related health problems. In the coming year, the entire school was planning to test their water for uranium, and the eighth-grade class was planning to travel to the University of Notre Dame to present their findings. In the midst of such mature and thoughtful leadership and community engagement, it was heartbreaking to think of the health effects that these students and their families could face because of reckless extractive policies. Later that night, we convened our roundtable in Albuquerque and spoke with service providers and community leaders from women’s health, childcare, rural dental care, indigenous communities, food security, and immigration sectors. During our two-hour long conversation, Tina Cordova of Tularosa Basin Downwinders Consortium described the decades-long treatment of New Mexico as a “sacrifice zone” where corporations and government agencies have come in and extracted resources and conducted tests with little regard for the residents. New Mexico has an endowment fund that is mostly invested and managed out of state. Another community member described how this treatment has affected people’s view of their self-worth: if your government treats your community like it’s dispensable and not worth the investment, you eventually start to believe it. As I reflect on everything I learned during my trip to New Mexico, it is empathy for all those who feel forgotten or left behind by their government that has stayed with me. It is my faith, which upholds the dignity and value of every human life, coupled with my patriotism for “We the People,” that firms my resolve that everyone deserves to feel and be treated like a valuable member of society. One thing Sr. Simone does so well is to help people move past helplessness and despair and towards hopeful action. At NETWORK, this first roundtable gave us an opportunity to reflect on how we can lobby for policies that will include the 100%- not just the people with whom it is easiest to engage. This experience has given me and NETWORK an opportunity to listen more, listen first before acting, and then to act with intentional inclusion. I am so grateful for the opportunity to have gone to New Mexico and to have met with so many amazing activists heavily invested in bettering their communities. To see more photos from the Rural Roundtable in New Mexico, click here. This entry was posted in Emerging Justice Seekers, Front Page, Income, Mend the Gap, Racism on January 28, 2019 by erin. It was great to meet you. It warmed our hearts to share our stories about the effects of uranium mining in our area. The scars of mining are still evident and hopefully, this will never happen again. As a Catholic School, we know that we must take care of the gift of the environment. How we take care of the earth is a reflection of our relationship with each other. Thank you for taking the time to visit us.